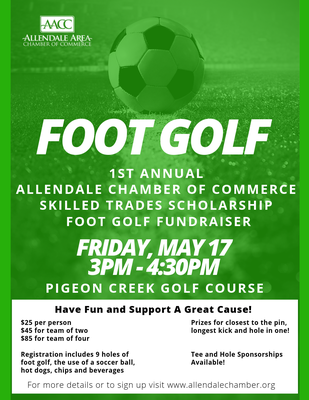 You’re invited to the 1st Annual AACC Foot Golf Scholarship Fundraiser. Help raise money to support the advancement of skilled trades training while having a great time! 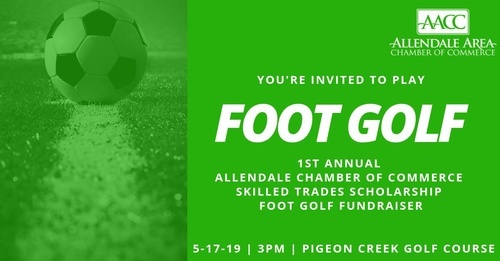 Foot golf is a combination of kick ball and golf and is played on a designated course at Pigeon Creek Golf Course. 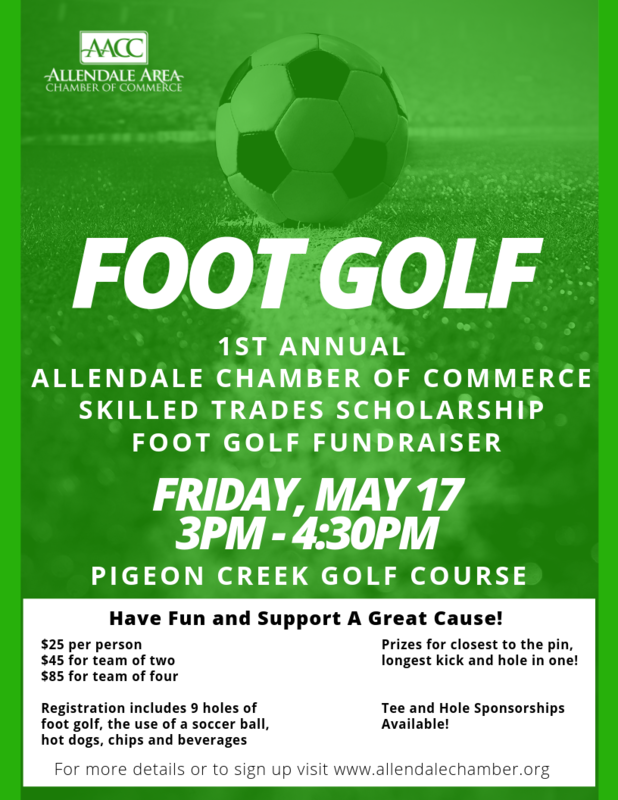 Proceeds go to the Allendale Area Chamber of Commerce Skilled Trade Scholarship Fund. *a rain date will be announced should there be inclement weather. Prizes for closest to the pin, longest kick and hole in one!